The NICFI's certified floor-covering inspectors are experienced in the inspection and failure analysis of ALL types of flooring! The National Institute of Certified Floor-covering Inspectors (NICFI) is a not-for-profit association of certified, independent floor covering professionals. The membership is comprised of flooring experts in all disciplines and products, within the floor covering industy. These individuals are educated and certified by associations that specialize in training and/or certifying floor covering inspectors. Product specification for intended application or use. 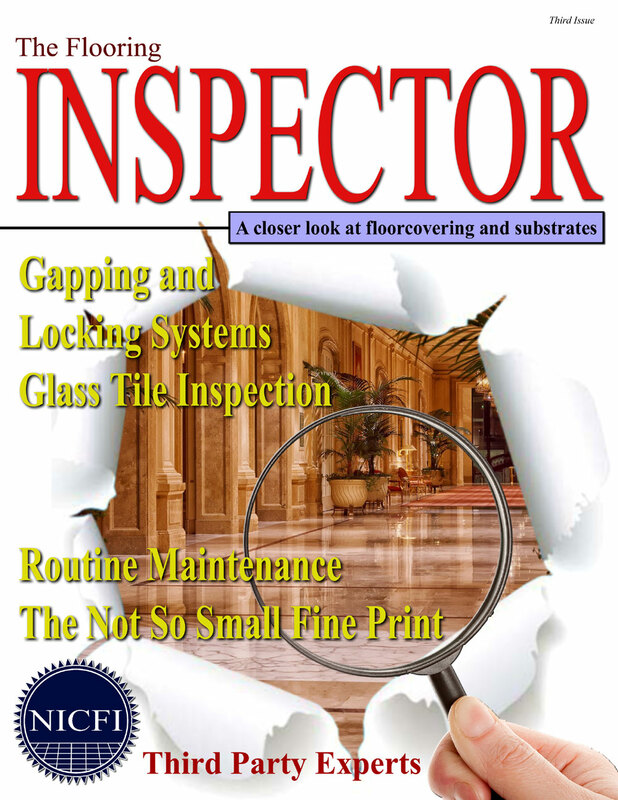 Our inspectors also address underlayment materials such as carpet padding and other materials installed under hard surface flooring for moisture, sound and crack isolation. 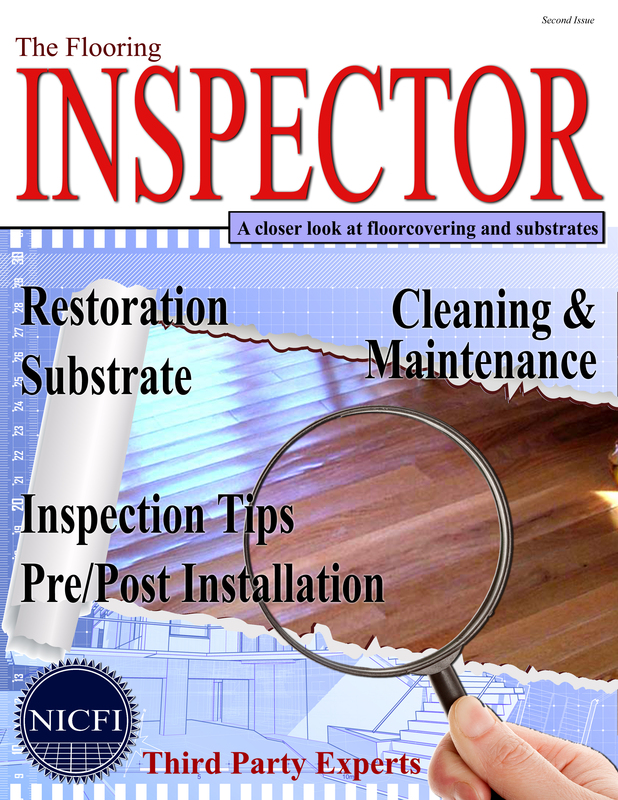 Some of our members are also able to perform substrate moisture testing, as third party status. Testing of this type can evaluate the substrate to determine its suitability to accept the intended floor covering. In this way, corrective action may be taken prior to installation to avert a failure due to inappropriate substrate conditions. NICFI members are experienced in site review, inspection and failure analysis to the level of performing as legal expert witnesses. Although NICFI is not a certifying body, it does provide continuing education and skill set updates. These programs encompass the many aspects of floor covering product, installation and maintenance and are offered at the annual education conference (convention). 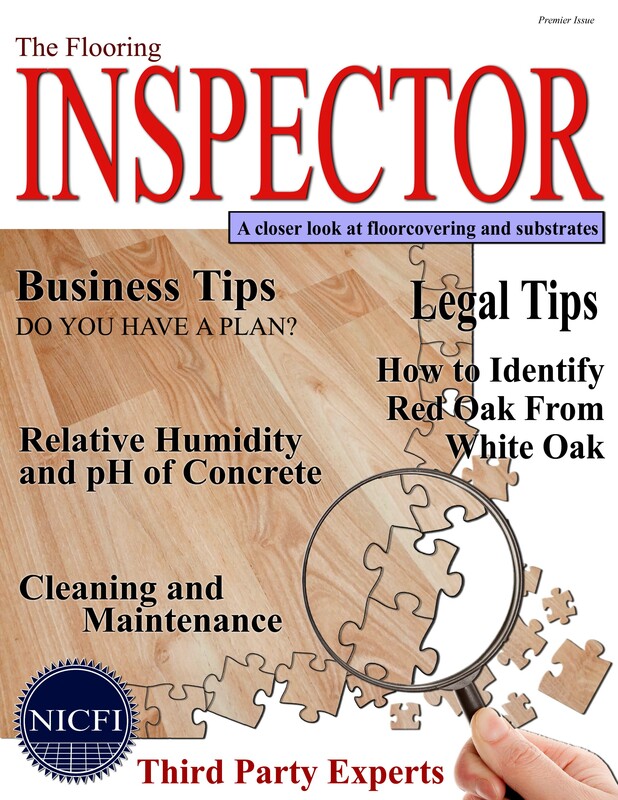 The subjects may include new flooring products or maintenance procedures or discovery of causation of negative issues that affect flooring products, performance or warranty coverage. 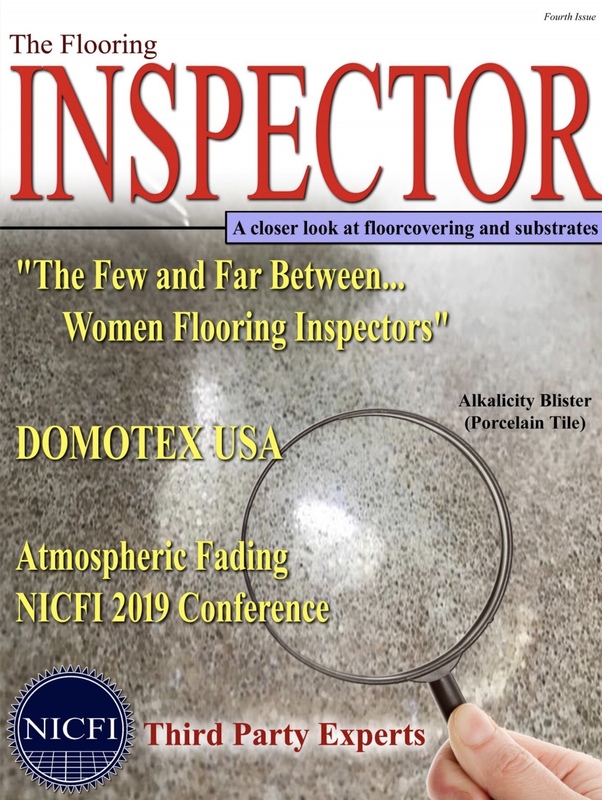 NICFI is the only non-profit association within the flooring industry with a membership comprised solely of Independent Floor Covering Inspectors. Each prospective member's presented credentials are reviewed and verified through the named certifying body. Once membership is granted, each inspector is responsible for keeping their certifications current, which is a condition of membership in good standing. NICFI does not warrant or deem correct the opinions, findings, decisions or conclusions of the inspectors member's report. NICFI does not have control of job-sites and issues of concern or causation.